LONDON -- Not too long ago, if the Islamic State of Iraq and Syria (ISIS) laid claim to an attack on civilians somewhere in the world, the perpetrator or perpetrators were generally revealed to have been acting on the terror group's behalf, if not at its behest. That has changed a lot over the course of 2017, and as ISIS demonstrated with its relatively lame effort to own the carnage wrought by a single gunman in Las Vegas this week, there's a trend for more "fake news" from the extremists. As ISIS loses territory in the physical world, the militant group appears to be grasping at any and every opportunity to try and garner publicity for recruitment in the virtual one, even at the risk of further discrediting itself. 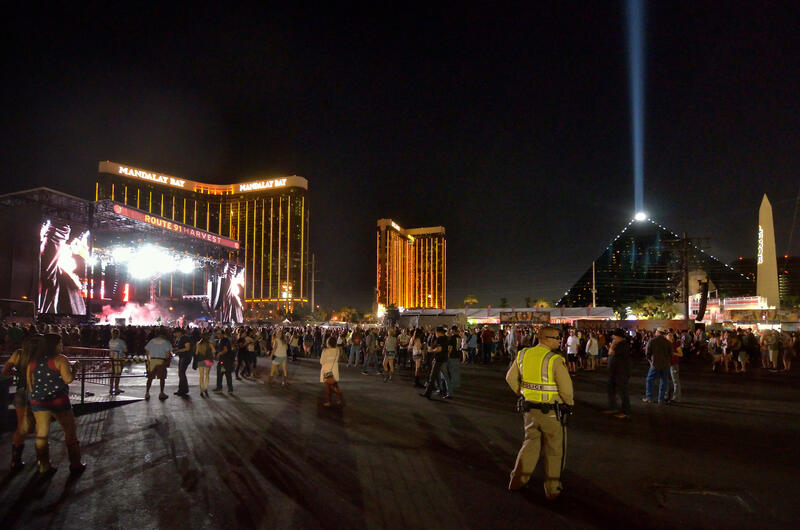 Is Las Vegas mass shooting domestic terrorism? The FBI has dismissed any notion that Las Vegas gunman Stephen Paddock had links with international terrorism, and from the moment ISIS made the claim it lacked credibility; the written statements offered no evidence of prior -- or even significant -- knowledge of the attack. ISIS claimed the gunman had converted to Islam several months ago and carried out the attack "in response to calls to target states of the (military) coalition," but it didn't identify him by name. The terror group has long released similar vague claims immediately after attacks in Europe and elsewhere. But while they used to be routinely followed by the release of video clips showing an attacker pledging allegiance to ISIS before "martyrdom," many of the group's recent statements are left to dangle without any proof. Before Las Vegas, ISIS tried to claim the failed London subway bombing, quickly saying it had been the work of a "detachment" of ISIS soldiers. But no accomplices to the lone suspect in that attack have been found, and the ISIS claim also misstated the number of devices used. There's been no evidence of any link so far. Following vehicle attacks in Barcelona, ISIS issued a statement of responsibility which appeared to do little more than echo details being reported by the media (similar to the Las Vegas claim). It soon became clear that the group had no advance knowledge of the attacks. In recent months, ISIS has only been able to prove that a modest collection of smaller attacks were actually carried out in its name. The most recent example was a suicide bomber who carried out an attack against police in Algeria in September. ISIS claimed it, and released a video showing a masked man taking an oath of allegiance to its leader and urging other Muslims to join the group. The most recent attack ISIS appears to have legitimately claimed in the Western world, however, was almost 10 months ago, when it released a video showing Anis Amri after the Tunisian national killed 12 people in a truck attack on a German Christmas market. Anis Amri, a Tunisian man suspected of driving a truck into a crowded Berlin Christmas market on Dec. 19, 2016, is seen in a video posted online by ISIS on Dec. 23, 2016, the same day Amri was killed by Italian police in Milan. Meanwhile, Iraq's prime minister announced Thursday that his troops had retaken the town of Hawija from ISIS fighters, driving the Sunni extremists from their last stronghold in the center of the country. "I want to announce the liberation of the city of Hawija today," Prime Minister Haider al-Abadi said, declaring it a "victory not just for Iraq but for the whole world." Iraq's U.S.-backed forces have now driven ISIS from all the cities and most of the towns it seized as it swept across northern Iraq in the summer of 2014. Their presence in Iraq is now largely limited to the region along the border with Syria, where the group has also lost significant ground. CBS News monitoring of ISIS' own "news" operations also reveals a weakened stance. Its pseudo-news agency al-Amaq still releases a daily bulletin heralding victories on the battlefield and successful attacks around the world. The bulletins used to run about 15 minutes, however, and now they've shrunken on average to about a third that length. There is simply less "good" news for the group to share with its ardent supporters, and to try and convince other would-be supporters to take its side. It is those two groups that ISIS is targeting with its propaganda -- including the outlandish claims it has resorted to in recent months. And that is why it would be overly optimistic to dismiss ISIS as a defeated terrorist group. If anything, what had been a viable pseudo-state founded on a jihadist ideology, has and is being forced to evolve into a more traditional terrorist entity: stateless, but still dangerous. Evidence of this transition emerged with the arrest in Australia of a pair of brothers in July. By sheer dumb luck, an overweight piece of luggage may have spared 400 lives in what a senior Australian police officer called "one of the most sophisticated plots that has ever been attempted on Australian soil." Lebanese-Australian nationals Khaled and Mahmoud Khayat are accused of trying to smuggle "high military-grade explosives" onto an Etihad Airways A380 -- the largest commercial passenger jet in the skies -- bound from Sydney to Abu Dhabi on July 15. The Australian Federal Police said the parts for the bombs were shipped to Australia from ISIS members abroad. One of the suspects' brothers is reportedly a senior member of ISIS based in the group's de-facto capital in Syria, Raqqa. This is the new ISIS, the evolved and evolving ISIS. It is a terrorist group hell-bent on inspiring and, when possible, helping bring to fruition, attacks around the globe -- but particularly targeting countries that have led the charge in forcing its own metamorphosis. With an undetermined number of ISIS militants from the shrinking battlefields of Iraq and Syria heading back to Europe, the U.S. and other home nations around the world, ready to lie in wait and help amplify the propaganda easily found online, the threat is real. ISIS clearly believes that the people required to ensure its own longevity will believe enough of what it says -- even claims that seem ridiculous to most -- to continue fighting for its cause. It may have little choice, but that doesn't mean it won't work.